Once you've installed Hospify by downloading it from the Google Play store or Apple Appstore, you will be asked to create an account. The free version of Hospify can only be installed on ONE DEVICE AT A TIME. To remain compliant with NHS information governance and UK and EU data protection rules, Hospify does not store your messages on the cloud. All messages are only kept on your mobile device, and are automatically deleted from it after 30 days. So please install Hospify on the device you use the most. During registration you will be asked for your email address and phone number. These are kept private to and are not shown to other users. Hospify identifies you by your email address, and will send activation codes during log in to that email, so please make sure you use an email that’s easily accessible during registration. Your phone number is used as a backup way of sending the activation codes via SMS, and for two-factor authentication purposes, so again, please use a phone number that is easily accessible (and preferably the number of the phone on which you’re installing Hospify). You will also be asked for a PIN code. This is NOT the same as the activation code. It’s a 6-digit number, like a banking PIN, that you’ll use each time you log into the app, so choose something that is easy to remember (but not consecutive numbers like 123456, as these are easy to guess and are blocked by the app). 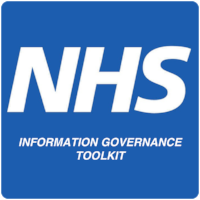 Hospify is protected by a PIN to improve compliance with NHS information governance guidelines, so if you lose your phone or leave it unattended, no one can get a look at your messages. UPDATE ALERT: Using the fingerprint scanner to unlock the app is in the pipeline and will be added soon. Once you’re through registration, the first thing to do is find a friend or colleague to connect with. To do this, go to the Contacts tab on the app and click on Add in the top right corner. This gives a range of ways to tell friends and colleagues to join you on Hospify. The easiest one is “Name”. Click on this, and just start typing the name of the person you’re looking for into the search field. Matches from the Hospify directory will start appearing. Touch the name you want to select it, and hit the PLUS sign to add them to your contacts. They’ll now be sent a connection request - but you can only talk to them once they've approved the request. Then they’ll appear under the Contacts tab in your app. Until they approve you, their name will sit in your contact list in Italics, with the word Pending alongside it. You can only start to chat with someone once your connection request has been accepted by them. This stops people connecting with your or spamming you at random. And when you delete a contact, that person cannot message you directly again, unless you accept another friend request from them. Unlike WhatsApp, Hospify does not share your phone number with others. So you can connect with someone and still remain very private. Another connection option is "Add My Contacts". Here you can select people from your phone's contact directory, and send them an SMS suggesting they download the app. Once you’re in the app It's not much fun going around with a blank head-shaped space for a face, so why not add a profile picture? This has the added advantage of helping other users make sure that you're the person that they want to talk to (rather than that other Janet Bloggs in Leeds). To change your picture, go to Settings, click on My Profile, then click on the picture icon (or the picture, if you've already uploaded one and want to change it). You'll be offered the choice of taking a new picture with your phone's picture, or uploading a new one from your picture gallery. If you have app version 1.5.3.251 or later (check the small number on the bottom of the PIN screen to work out what version you have), You can also add your place of work, job description, and work email address if you like. The place of work and job description are shown in the Hospify directory, and will help people find you. Your work email address is kept private, but can help us validate you as a genuine healthcare professional. So if for example you have an nhs.net email address, it’s worth putting that in. UPDATE ALERT: We'll soon be adding the ability to update your in-app PIN code and registration email address. The first time you talk to someone, you just need to find their name in your Contacts tab and click on it. A chat window will open. Start typing by clicking in the text window at the bottom (your keyboard will then pop up), and when you're ready to send, Press the little blue arrow button. Once you've sent a message to someone, their name will appear in your Chats tab. This way you can find them again quickly, without having to scroll through your whole directory. You've probably noticed the two ticks that appear alongside each message you've sent. You may be familiar with these from other messaging apps. The first tick goes from grey to green when the message has been downloaded by the other user's phone. The second tick goes green when they've opened their phone to look at it. We can't guarantee they've actually read the message and understood it, but the chances are they have. If you're waiting for an urgent message and want to tell your phone to check to see if it's waiting for collection on our servers, you can do that by swiping firmly downwards in the centre of chat window. Hospify will then check for any messages and refresh the message stream. What happens if you've connected to the wrong person or - worse - you've connected to the right person but you don't want to hear from them any more? Easy - just go to the Contacts tab (it has to be the Contacts tab - this won't work in the Chat tab), and press and hold their name until the Remove bar appears at the top of the screen. Then just click Remove, and they are deleted from your directory. Now they can't message you until they send you a new connection request and you re-approve them (or you send them a connection request, and they re-approve you). This is a very important feature of Hospify, and one we think is vital for clinicians. It allows them to connect with patients using their mobiles during the course of a treatment or consultation, and then disconnect when the professional interaction is over - all without ever having to give out their phone number, email address or their identity in a social media messenger service that they might also use in their personal lives. One-to-one messaging is great, but sometimes - and especially in a clinical setting - you want to communicate quickly with everyone in a group. This might be a group of people dealing with a particular patient, a ward round group, a group for pharmacy alerts or for allocating beds. There are endless possibilities, but do consult your team or line manager before creating a work-specific group of your own. Make sure first that there isn't already a Hospify group set up for the job you want to do. Once you've decided to set up a group, the process couldn't be easier. Just click on the Groups tab, then click Add Group! The app will show a list of people in your directory, with checkboxes alongside each of them. Tick the boxes for the people you want in that group, type a name into the text field at the top, and click Save. Your group is now saved and will appear in your list of groups, and in the group lists of all the other group members. When you send a message to the group, everyone in the group will get it even if you're not directly connected to them. If you want to send a one-to-message to someone in the group who is not already in your directory, you'll have to invite them via Add a Contact and get them to approve you first. To edit a group, just click on the Edit button you can see in the top right hand of the screen when you're in that group. You can only see this button if you created the group in the first place! If you have been invited to the group by someone else, you won't have access to this function. Assuming that you are the group's author, when you click Edit you'll see the checkboxes appear by people's names again, and you can add or remove anyone in your directory from the by checking or unchecking the tick box by their name just as you did when setting the group up in the first place. What you cannot do is change the name of the Group - that is fixed once the group has been created, and you can only change it by deleting the whole group and starting again. To delete a group, press down and hold the name of the group in the groups list until the Remove and Edit buttons show up at the top of the app screen. You can edit the group from here by pressing Edit. If you press Remove, the group will be deleted. Again, this function can only be accessed by the person who set up the group in the first place. DELETION ALERT: Once a group has been deleted, there is no way to recover it or the messages within it. So think before deleting! When you start messaging in groups, you'll probably notice a peculiar three dots symbol lurking about in the message window. Click on this, and you'll see a list of all the people in the group, along with the message delivery status (using the two tick system) for each person. In the example to the right, we can see that Neville and Emma have both received and read the message, but that Jim hasn't yet picked it up on his iPad. We're really pleased with this feature, and think it will be particularly useful in a clinical setting, where it can be crucial to know that every person you're trying to reach has (or hasn't) seen a particular message - something you just cannot do with pagers or email. If you’ve lost or upgraded your phone and need to create a new account using the same email address you registered with previously. In this situation, just install Hospify to your new device from its appstore, and start to register. Instead of registering fresh, however, choose the “Migrate my account” option on the registration screen, then use your original email and PIN code to log back in. Your account, contacts and groups will now be set up on this new device (you messages will not migrate, as these are only stored on the old device). Please note that once you’ve done the migration, Hospify will no longer work on the previous device on which it was installed. Please make sure, if you can, that you delete the app from that device and uninstall it properly. We're building Hospify for you, so don't be afraid to tell us what we're going wrong (or even, if you feel like it, what we're doing right). One way to do this is to leave a review of the app in whichever app store you use, and it would be great if you can do that, especially if it's a good review - positive feedback helps move apps up in the app store search results, meaning more people can find it. If you want to tell us something specific isn't not working, request a new feature, or just tell us what you think, you can just fire us a message via the Feedback button in the app, which you'll find in the Settings section. Click on this and you'll get a special chat window that sends messages directly to our team. Please do use this, especially if you're not happy. If something is broken or not working well, it's possible we just don't know about it. The quicker you tell us, the quicker we can fix it! The other way to tell us about a problem - especially if you’re unable to get into the app - is to fire a quick email to support@hospify.com, explaining the situation. One of our customer service team will be in then be in touch to sort out the issue. Share safely, and thanks for using Hospify!